When it comes to loneliness, age doesn’t matter. 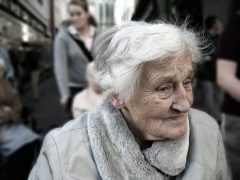 Young and old people can feel isolated and alone, but the conversation around loneliness often focusses on older people. In an interview, the Minister called loneliness a “generational issue”, and we agree that people of all ages must be considered in this work. Last year, the Commission did a great job in raising awareness of loneliness in the UK. To continue this, it is important that smaller charities also have the opportunity to share their knowledge. The charities in the Commission (like the British Red Cross, Age UK and the Royal Voluntary Service) do amazing work, but we know that other charities like ourselves also have a lot of experience and expertise to offer on this topic. Research has proven that technology helps to alleviate loneliness, by providing both comfort and companionship when there is no one else around. Through our work, we have seen the light that a simple radio or television can bring to someone’s life. We also know how vital a tablet computer can be in reconnecting a survivor of domestic abuse or an ex-homeless person to their families, friends and communities. Despite these benefits, technology is often spoken of as a contributing factor to the problem. While TV might be many people’s only form of company, it is not the reason for their loneliness. Human contact is always the best remedy for loneliness, but in lieu of that, media technology is better than silence. We hope that the Minister will consider this in her new role. We wish the new Minister the very best in her new role.